Whitefish, MT —The Trust for Public Land, Montana Fish, Wildlife & Parks, and Montana Department of Natural Resources and Conservation last week completed the final phase of the Whitefish Lake Watershed Project. Years in the making, this collaborative conservation effort expands Stillwater State Forest north of Whitefish by 6,380 acres and protects important fish and wildlife habitat, public access and recreational opportunities while also promoting sustainable forest management. The completion of the final phase is possible in large part to a $4 million grant from the USDA Forest Service, Forest Legacy Program and a $2 million grant from the U.S. Fish and Wildlife Service Cooperative Endangered Species Conservation Fund program. Both programs are derived from the Land and Water Conservation Fund, which uses a small fraction of revenues generated from offshore oil and gas royalty payments to protect and enhance outdoor recreation and natural resources. LWCF is not funded by general taxpayer dollars. 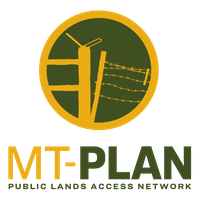 This final phase completes the conservation of 13,398 total acres of privately owned timber land that will be added to the Stillwater State Forest as public land and sustainably managed by Montana Department of Natural Resources and Conservation. This block of land has been a gap in the state forest since being sold by the State of Montana in the early 20th century. This forestland has long been viewed as a priority for public land conservation by reconnecting the original ownership of the land. Montana’s Congressional delegation strongly supported the project. “Nearing completion, this project promises to increase public access to our public lands and is another example of what LWCF can do. LWCF is important to Montanans, and I’ll continue working to make sure it’s permanently reauthorized,” said Congressman Greg Gianforte. FWP will hold the conservation easement on 3,200 acres, which adjoins the 7,018-acre easement purchased earlier this year. This easement was also completed thanks to grants from the Forest Legacy Program and Cooperative Endangered Species Conservation Fund. The easements ensure sustainable forest management, public access and public recreation opportunities while removing development rights. In one of the fastest growing regions in the Northern Rockies, this conservation project protects local forestry jobs, clean water, public access for outdoor recreation and important habitat for fish and wildlife, including grizzly bears, Canada lynx, and westslope cutthroat trout. As part of the collaborative conservation project, the Bonneville Power Administration Fisheries Mitigation Program paid $10.68 million to conserve 3,180 acres of the 13,398 acres joining the Stillwater State Forest. A conservation easement will be held by the United States and the land was donated to DNRC. Acquisition of this land will also allow for sustainable timber management while protecting important bull trout habitat within Swift Creek, an important water source for the community of Whitefish. The Montana Land Board approved the donation in late September.